We encounter the movement of the mind with the flame of total Attention. Without the light and serenity provided by Attention, nothing can be understood in a real way. Through silence, the mind in its totality had become an immense mirror in which the outside world was reflected. And the world I was perceiving directly through my senses revealed its own reality to me. My fellow beings, close friends or complete strangers, were being regarded indiscriminately, with a feeling of love I had never felt before. If any reaction of the mind surfaced, it disappeared immediately in contact with the sparkle of impersonal Attention. A state of quiet and all-encompassing joy characterized me in all circumstances, whether pleasant or painful. My behavior was that of a simple witness, perfectly aware of what was happening around me, without affecting my all-encompassing state of peace. The State of the Sublime is, of course, difficult to describe, but not impossible to experience by someone who authentically practices awareness. In order to communicate it, a simple and direct language is used, which is not filtered through reason, because the “ego”, with its subjective perception, is no longer there. To put it this way: the psychological emptiness is the one who lives the present moment, expresses this encounter into words and still remains present and available to the next moment. As a result of this direct encounter with the moment, always new and renewing itself, I felt the need, initiated and fueled by intuitive impulses, to express “Self- knowing” using verse. It was a natural thing to do. In few words I could encompass and communicate the essence of the experience. In the first year I wrote 300 poems. Later on, their number reached 1000, of which 600 are accompanied by prose explanations, such as the ones in this book. I would also like to describe a few effects which, as a result of becoming aware of the reactions of my own thinking process, have completely disappeared, without any other intervention from my mind. After experiencing this phenomenon, I felt like a broken vessel, from which the following started to disappear: my interest in astral journeying, my religious beliefs, my egoism, desires, fear, envy, pride etc. My awareness remained open all the time, offering me the possibility to pass from the finite dimension into Infinity. After encountering this extraordinary phenomenon^ with the help of a global perspective I understood the whole human tragedy, caused by the misinterpretation of life in its constant mobility and newness from one moment to another. Faced with the freshness and the aliveness of life, each individual — according to his own conditioning, as a result of wrong education — behaves completely inappropriately, because the structure of the mind cannot in any way comprehend arid embrace the beauty of life. The shadow of the past is actually a memory pattern, clouding and distorting the reality of the present moment. Life cannot be encountered and understood objectively, unless we are in a state of complete freedom and serenity of the mind. Life is newness, moment by moment, and it demands, even forces us to encounter it with a new mind, with a new brain and with new brain cells, which have not been used previously. It is a well-known fact: scientists claim that man, during the whole span of his life, uses no more than 10-15% of his brain cells and memory potential. As you can see, our psychological possibilities are almost unlimited. After these explanations, it will be easier to understand the process of our own conditioning, as well as the phenomenon of breaking the shell of the “ego”. We encounter the movement of the mind with the flame of total Attention — requested by the aliveness of life in its continuous flow. Without the light and serenity provided by Attention, nothing can be understood in a real way. In the light of Attention, any reaction of the mind (thought, image, fear, desire) — which functions chaotically, obsessively and dominates us — is instantly dissolved. In the psychological void that follows, a new mind appears, expanding into Infinity, as a state of Pure Consciousness, pure understanding as well as transformative action. 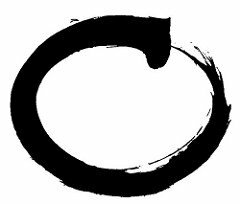 This simple state of “being” is in itself an action in which the entity who performs the action doesn’t exist anymore. The old man, conditioned by his behavioral patterns, loses his authority as the chaotic, uncontrollable reactions dissolve — energies which sustain and fuel the “ego”. Only in this way, by a simple encounter with the reactions of the mind and its subsequent demise, the barrier of the “ego” is broken. Through a momentary opening, our real being is revealed, transforming and healing us. This all-encompassing Attention, without any purpose, is the Sacred itself in action. There is, in fact, another type of attention directed by will, which behaves subjectively by limiting itself to one object. By its very nature, this type of attention defines itself as lack of attention. Beware, nevertheless, not to make a mere theory of this simple meeting with yourself! Simply becoming aware of “what is”, of what we encounter, brought about by the flow of life, without having any purpose or expectations, places us in a state of simply “being”, which transforms us by itself. That is all there is to it. Ilie Cioara was an enlightened mystic who did not belong to any lineage. He is unique in a way, in the sense that he lived in almost complete isolation, in Eastern Europe in a communist country, completely oblivious of nonduality, zen etc. Originally a Christian mystic, he practiced a mantra for over 20 years. One day, he felt an intuitive impulse to drop the mantra, and just practice the silence of the mind, by listening to the noises on the street, in the now. After following this practice for a few years, one morning, as he was waking up from his sleep, he suddenly experienced Enlightenment. His description of meditation is fresh and devoid of any tradition and jargon. His writings in 16 books describe the experience of meditation and enlightenment, as well as the practice of “Self-knowing” using all-encompassing Attention. Like Ramana Maharshi, Krishnamurti, Ekhart Tolle, his is a simple message of discovering our inner divine nature through the silence of the mind. A practical book on meditation and enlightenment, a must read for any spiritual seeker. A more poetic Eckhart Tolle; Kahlil Gibran meets Krishnamurti. Ilie Cioara’s message is original and unique, as he never travelled to India and never belonged to any traditional school. By practicing the silence of the mind, through an all-encompassing attention, we discover and fulfill our innermost potential of becoming one with the divine spark that lies dormant within us. For more info thesilencebook.blogspot.com and Nonduality Magazine. I haven’t yet been able to access or comprehend my inner state of being,but Eckhart readings and videos, make me believe more and more that…I’m closer. A great task is accomplished by a series of small acts.